Be the Groove is excited to return to Shreveport for this exciting weeklong festival. 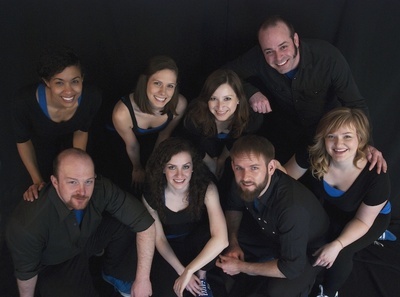 Be the Groove is excited to travel to Shreveport for this exciting weeklong festival. 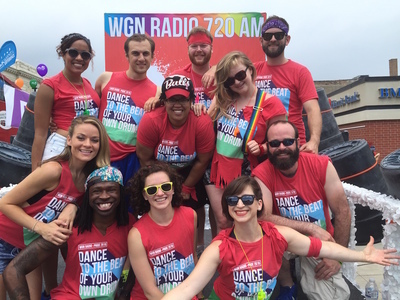 Be the Groove celebrates pride aboard the WGN Radio float, "Dance to the Beat of Your Own Drum"
Be the Groove is excited to travel to Oman for the International Rhythm Festival in Oman. 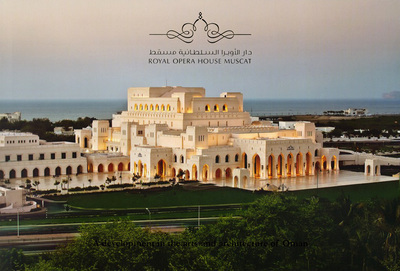 Featuring groups from all Asia, Europe, Africa, and North America. 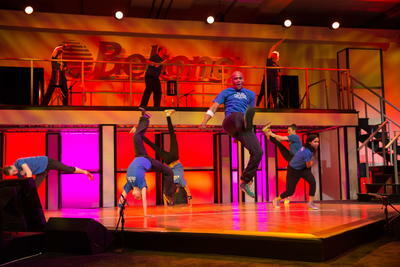 Be the Groove kicks off Beltone's 75th Anniversary at the Sheraton Chicago. I cannot thank you enough for the outstanding job you did for the 75th Anniversary Beltone Meeting at the Sheraton Chicago. Great energy, a ton of smiles, very happy clients and an ecstatic Executive producer. You were a treat to work with and really made the meeting very special for the audience and those of us behind the scenes. Be the Groove ROCKS!!! Geff Kenly, President Keystone Creative Group, Inc.
Come join Be the Groove for an intimate and informal performance! With a desire to reconnect to our Chicagoland audience and gain momentum for our next self- produced show, BTG is excited to share our work with YOU. With no lights or stage to separate cast and audience, you'll experience us in our rawest form: an open space, rhythmic explorations, and a whole lot of fun. And if you’re in a rush, no worries—the show will only be about 60 minutes. Come share in the groove with us! To reserve tickets please email info@bethegroove.com with your name and number of requested tickets. It's a small space so we recommend you reserve early! Post-show please join us at Temperance Beer Company’s Tap Room! Socialize with the cast, share your thoughts on the show, and have a drink with us! Temperance is located directly behind DCE at 2000 Dempster St. Rhythm and a brew? We will see you there! Urban Gateways' Junior Board, the New Arts Forum, announces its third annual ArtSee event! 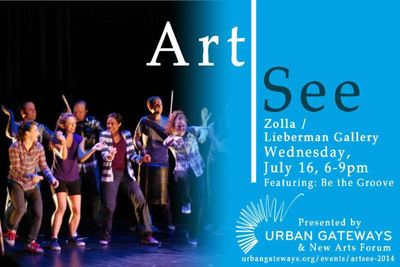 Featuring live performances, an "Artbar" with Urban Gateways teaching artist Jonathan Franklin, the sculptures of Deborah Butterfield, drinks and appetizers, all proceeds support Urban Gateways arts education programs in Chicago schools. A silent auction and raffle will also be available for those looking to lend extra support and win great prizes! 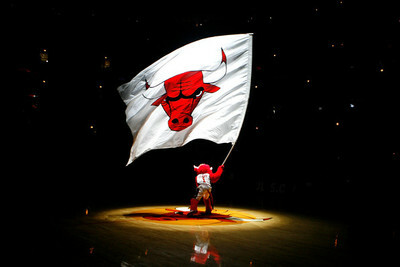 Check out photos from last year's event here. 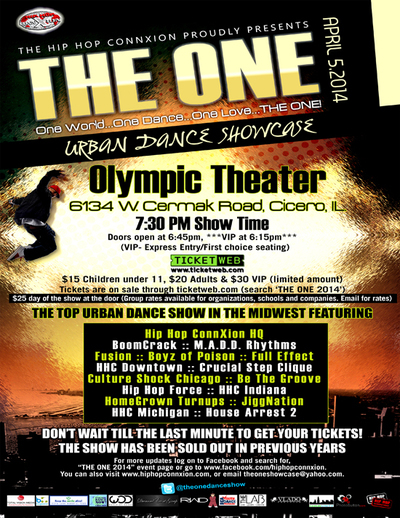 The top URBAN showcase of the year featuring the best hip hop, footworking, breaking, urban salsa, popping, stepping and urban tap companies in Chicago and surrounding areas. Be the Groove once again joins our good friend Josh Weckesser for the return of his Dance Spectacular! Performances by Matt Griffo, Sarah Winkler, Tapmen, Brandy White, Nico Rubio, Hip Hop ConnXions HQ, and Chris Nasadowski. Last, but not least, Josh Weckesser himself will be performing a duet with Amanda Dye from Leopold Group. Use discount code "dcheartsb" for $9 off the ticket price.